If Julia Montes will star in a new TV series called "Walang Hanggan," Kathryn Bernardo on the other hand will lead in another TV series called "You're Always in My Heart." 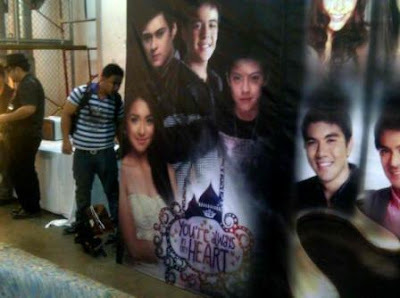 And guess who are the leading men of Kathryn in this teleserye?! Yup, they are Daniel Padilla, Enrique Gil, and Khalil Ramos of "Pilipinas Got Talent Season 3." Definitely, this teleserye will be shown next year. But right now, the TV series poster of this newest soap is spreading on Facebook!